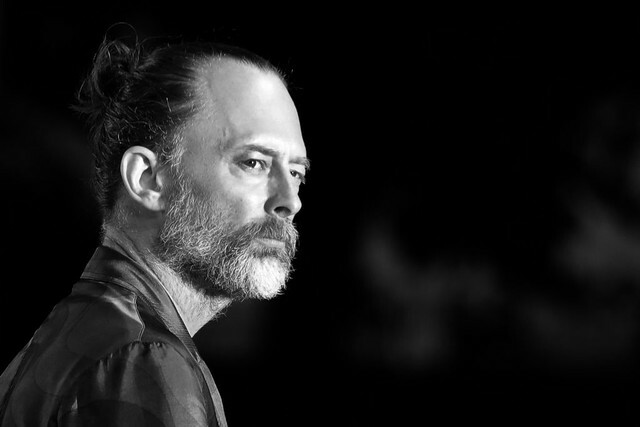 Thom Yorke performed at the Philharmonie de Paris’ Minimalist Dream House concert last night, on a program which also featured music by the National’s Bryce Dessner. Yorke premiered his classical work “Don’t Fear the Light” and also a new art-song-like piece he wrote entitled “Gawpers.” His voice drenched in reverb, Yorke performed “Gawpers” using the patch-cord analog synth he’s used during recent performances of songs from his Suspiria soundtrack. The performance featured additional accompaniment by Katia & Marielle Labèque, who performed on two pianos. Yorke also performed his Suspiria soundtrack highlight “Suspirium,” with assistance from the two pianists and Bryce Dessner on guitar. Dessner’s portion of the program included music from his album El Chan, which was released this past Friday. Yorke’s last release was February’s EP of unreleased material from last year’s Suspiria soundtrack. Watch videos of Yorke’s “Gawpers” and “Suspirium” performances below.